This week's Kiddush is sponsored by Nelson and Carole Brenner and by Rabbi Helfgot and Rachel in honor of Rosa Resnick Helfgot, the rabbi's mother, on the occasion of her 92nd birthday. May she continue to be blessed with good health and vigor for many years to come. Mazal tov! Welcome to our new members Sandra and Joseph Greenberg. ​​​​​​​Welcome to our new members Janet and Lior Hod. Thank you to Meryl and Joseph Mark for donating the new hangers and coat rack for the shul coat room. To RSVP or donate, click here ​​​​​​​. 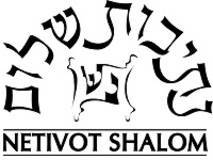 Dr. Malka Z. Simkovich will be joining Netivot Shalom as Scholar in Residence on Shabbat, March 16th. 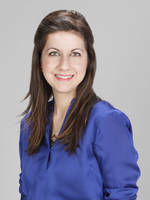 Among her accomplishments, Dr. Simkovich is the Crown-Ryan Chair of Jewish Studies and director of the Catholic-Jewish Studies program at Catholic Theological Union in Chicago, as well as a Core Faculty member of Drisha Institute. 2. Following kiddush - Messianism and the Apocalypse: What Did Jews Write About After The Babylonian Exile? 3. Between mincha and maariv - Sectarian Judaism and Common Judaism: What Made You a Jew in Second Temple Times? The program is being sponsored by the Abraham and Sheila Schlussel Adult Education Institute. Thank you to Marc Schlussel, Benny Reiner, Daniel Schlosberg, Dani Schwell and David Max on the CSS team for providing security over Shabbat. The Youth Kiddush is sponsored this week by Rachael and Benjy Gottesman in honor of Ezra's Second Birthday. This Friday night, February 8th, please join us for a family-friendly Friday night tefilla after 5:10pm mincha. 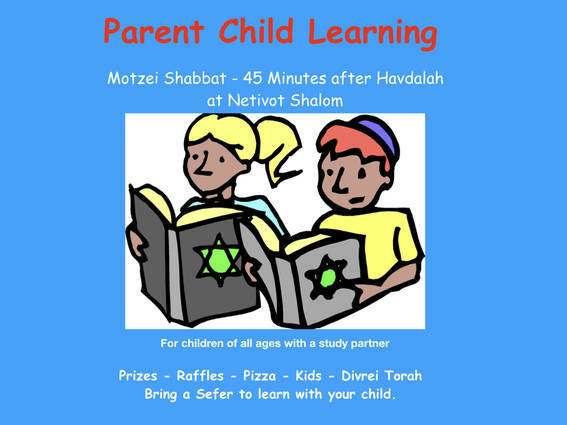 Parent Child Learning will take place next Motzei Shabbat, February 16th at 7:00pm.